Awarded to a graduate or graduates who have demonstrated remarkable achievement in the previous year. 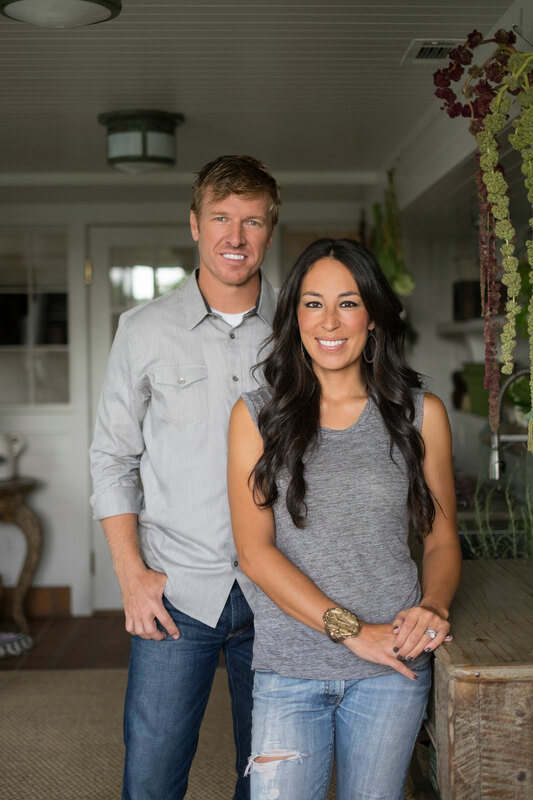 As stars of the hit HGTV show Fixer Upper, the Gaineses attracted a national audience of more than 24 million viewers during Season 2 of their show, which first aired in 2015. Viewers have responded to the Gaineses’ working relationship and sense of style in renovating and restoring homes, and to the scenes of the Waco area featured in every episode. Chip, BBA ’98, is an entrepreneur who has run a variety of businesses since his college days, beginning with landscaping, fireworks stands and laundry services. Over the past 15 years, he developed an expertise in Waco real estate, including rental property, flipping houses, construction and home renovation. A background in communications at Baylor—including television and radio experience and New York internship at 48 Hours with Dan Rather—helped Joanna, BBA ’01, to be comfortable in front of the cameras for HGTV, as did her roles in local television commercials for her father’s Waco business, Jerry Stevens Firestone. Chip and Joanna shared a semester at Baylor in fall 1998 but didn’t meet until 2001. They married in 2003 and soon after started a business together, Magnolia Market. There, Joanna honed her eye for appealing home décor and designing interior spaces. Her blog posts caught the attention of High Noon Productions, a television production company, which then approached the couple about making a television show. In addition to a commitment to film the show through Season 6, Chip and Joanna continue to grow their company, Magnolia, and its brand. Opening this fall in downtown Waco is the new Magnolia headquarters, the hub for a monthly market and Magnolia’s ventures in home renovation and construction, retail home décor and a real estate. A furniture line is scheduled for release this fall, followed by the release of Joanna’s paint line, a design book and the couple’s memoir. Awarded annually to a graduate or graduates age 40 or under who have demonstrated remarkable achievement in the previous year. Victor Boutros, BA ’98, is a trial attorney in the U.S. Department of Justice Human Trafficking Prosecution Unit. Previously, he worked in the criminal section of the Justice Department's Civil Rights Division where he investigated and prosecuted official misconduct and hate-crime cases. He has served as a visiting scholar at George Washington University Law School and adjunct professor at University of Chicago Law School, from which he earned a juris doctor in 2003. He authored "And Justice for All: Enforcing Human Rights for the World's Poor" and "The Locust Effect: Why the End of Poverty Requires the End of Violence" with International Justice Mission President and CEO Gary Haugen, who he met pursuing a master's degree at Harvard. In their shared work, the two authors explored what Boutros’ calls an "epidemic of everyday violence" that thwarts the effectiveness of human-rights laws and regulations. 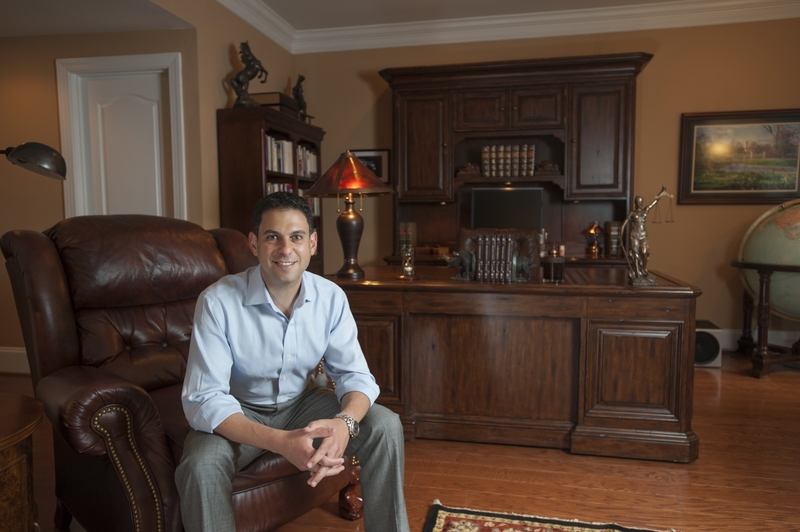 An interest in Christian apologetics led to Boutros’ pursuit of a philosophy degree at Baylor. His first exposure to his alma mater was through a fellow Northway Baptist Church member who began at Baylor during Boutros' senior year at St. Mark’s School of Texas in Dallas. A visit to Baylor that year sealed the deal; however, Boutros began his Baylor studies as a pre-med student, following in the footsteps of both his parents. His transition to philosophy challenged expectations, but a Baylor seminar taught by a visiting Yale professor who touted philosophy as a preferred major for aspiring graduate students would affirm his decision. Boutros appreciates how his philosophy education at Baylor taught him to think analytically and rigorously. Boutros’ time at Harvard illuminated the direction philosophy would take him. Haugen had started a human rights organization called International Justice Mission and set out to live the Biblical mandate to seek justice and rescue the oppressed. Boutros followed suit through his work with Haugen and the International Justice Mission as well as with the Justice Department. Following his time at Harvard, Boutros earned a Master of Philosophy from Oxford University in England. He is a member of Baylor's Business Network as well as the boards of advisors for the College of Arts and Sciences and the Honors College. He resides in Washington D.C. with his wife, Tricia, an international capital markets/securities practice attorney at Vinson & Elkins.